Managing users for the first time. You can manage users using the Users List under Manage then Users. We're going to run through adding a single user to explain the different roles in the system but we recommend using the bulk tools for managing large amounts of users. We are presented with some somewhat standard fields including First Name, Last Name, Username and Email Address but also a Roles field. Select a single Trainee role for now. This brings us to the User Details page where we can edit the user's basic data as well as their Velpic data like scheduled lessons and results. Custom fields are also available in the ultimate and above plans. Trainee - A user that can watch lessons. Admin - A user that manages the platform. Editor - A user that create content but can't distribute it. Supervisor - A user that manages a subset of users. We'll expand on this later but you select the trainee role initially to create a supervisor. Owner - A user that controls billing and feature management. It is the user who first signed up for Velpic and is the person that will need to contact Velpic to change the owner to someone else. Groups are a powerful feature in Velpic and are available on the Growth plan and above. You can manage groups using the Groups List under Manage then Groups. You are presented with the following fields: Name, Description and Supervisors. Parent Group is part of the Hierarchal Groups feature and is available on Ultimate and above. Let's name our group "Location - Perth" to represent all the users that are located in Perth. If we have the hierarchal groups feature (ultimate and above), we could also create a Location group and select that as the parent of this group to keep our groups organised. This takes us to the Group Details page. We have the option to select a supervisor of this group on this page which we will expand on later. Click the "Members" tab to manage members of the group. Search for users to add to the group, select them then click "Add". A supervisor is a user between a trainee and an admin because they can perform admin actions on a subset of trainees in the system. It fits really well for users that need to manage the training of a particular group of trainees instead of all the trainees. An admin can't be a supervisor because they have all the permissions of a supervisor plus more. Its important to note that Supervisors will only ever see the trainees that they supervise in these views. 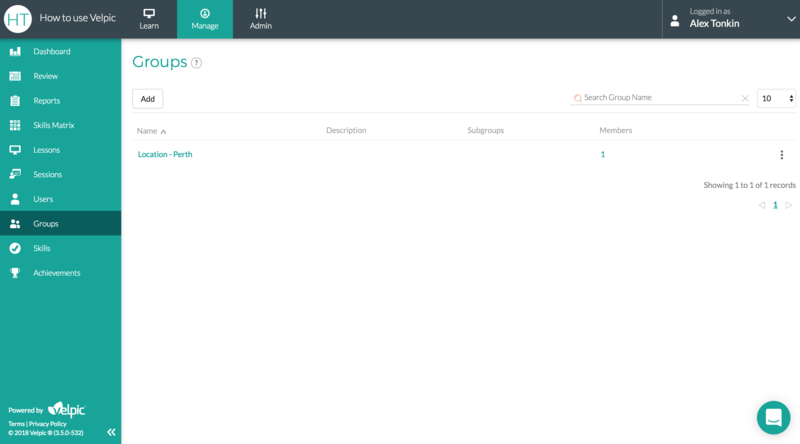 You can specify the users that the supervisor manages either using a group (available on growth and above) or directly. For growing teams we recommend the groups option. You can make a user a supervisor of a group on the Group Details page, as discussed earlier, or using the Users List. We're going to cover the Users List method below. Go to the Users List under Manage then users. Click on a user that you would like to make a supervisor. 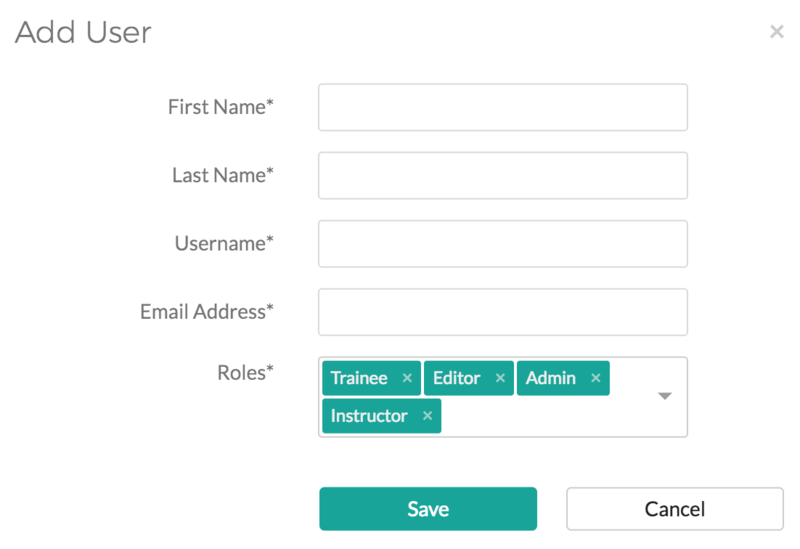 Make sure the user only has the Trainee role in the "Role" field. Specify the group(s) they supervise using the "Groups Supervised" field. 6. Return to the Users List by clicking the breadcrumb at the top of the page. 7. You can see the Roles of a user listed under their name. You also have the option to filter by role as well. We've just managed users for the first time in Velpic.